Magic Sand is regular sand that has been dyed and coated with a hydrophobic material - a substance that repels water. The coating on the outside of the magic sand repels water and keeps the sand dry! Simply remove the sand from the water with a spoon... it is perfectly dry! Available in three fluorescent colors. Comes in one pound packages. This is a perfect addition to our Professional Development program in teaching science in the elementary classroom. Can't wait to use it with the teachers that come for training. 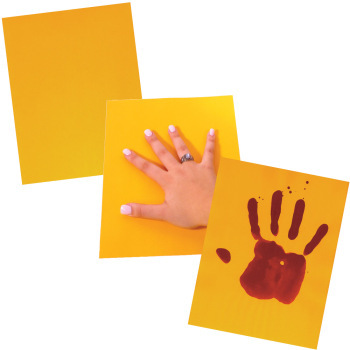 I use it for science experiments with preschoolers, and they love it. Specially with different colors. This is an excellent product. This is a good item to show the hydrophobic property to grade 6-10 kids. We had fun with it. Be forewarned: clean up with vacuum, not wet wipes. We laughed and learned together. 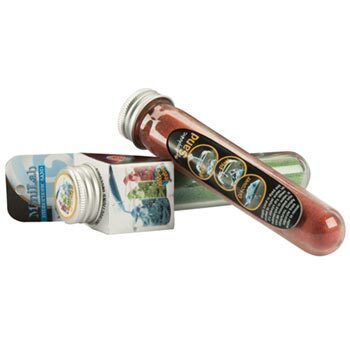 This product that they sell is excellent!!! Your students will be amazed with this sand. DO NOT buy the "mystic sand" from Flinn. I've twice bought it from them and twice I received sand that gets wet and has no hydrophobic properties whatsoever. We use it for science experiments and its awesome! Wow, this stuff was amazing. It was the most popular activity at my workshop! we love our kinetic sand....great price too! I got the sand much quicker than I expected. It's a lot of fun, too! I was very happy with the product. I thought this would be a great demonstration and teaching tool for 5th graders. They had so much fun. I use Magic Sand with our 5th grade field trips to our water facility to teach them about water as the Universal Solvent. The kids love it!!!! Prompt delivery, exceptional professionalism, and a quality product. Kids and adults alike are amazed at this demo...the concept of hydrophilic and hydrophobic substances is beautifully shown. Great for use in studying plasma membranes. Students are amazed by this product. At first they think it is some kind of trick until they try it themselves. They talk about it for days after. This is the BEST! I use it as a way to practice the scientific method. Kids play with the Magic Sand, come up with an explanation of why it behaves the way it does and then have to share and defend their explanation. Reusable, fun, fascinating stuff! Great for science fair and even a first grader was able to pronounce the chemical name for the coating that keeps the sand dry. 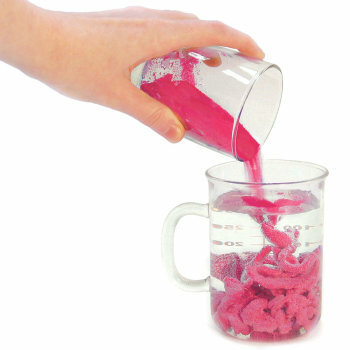 My students are shocked when I pour the red sand into a beaker of water & it looks like poop. Then when we pour the water out, the sand is dry! This is great for demonstrating polarity. No matter what students do, they cannot make the sand wet and it boggles their minds! Magic Sand is truly magical! Every year my students are ALL focused and engaged when we do this inquiry! I use Magic Sand at the beginning of each school year to introduce my students to variables and writing hypotheses. The best thing is that it dries out and can be used over and over again! I use this as a quick hands on activity when teaching the plasma membrane. It gives them a chance to get out of their seats and really understand hydrophobic/hydrophilic . They love this activity! Even my three year old begs for the magic sand when he visits my classroom! Other than pouring the sand into a glass of water and going "huh" I never could figure out anything else useful to do with it. A fun way to introduce polar molecules. I found a great activity from Journal of Chemical Education using Magic Sand to introduce hydrophopic and hydrophilic substances. I'll be using the Magic Sand next year with all my classes to introduce polar molecules. 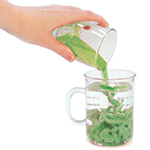 I love this product--great for discrepant events, chemistry, science of toys, etc. My high school students were amazed by this product - they had the best fun reaching in the beaker of water, grabbing some magic sand, and then seeing it was perfectly dry when they pulled it out of the water! Leads to a great discussion on hydrophillic/hydrophobic substances. Magic Sand AKA: Squand is the single most amazing product I have set my hands and body on. I can't get it wet. This product will support your students' understanding of the Next Generation Science Standards (NGSS), as shown in the table below. 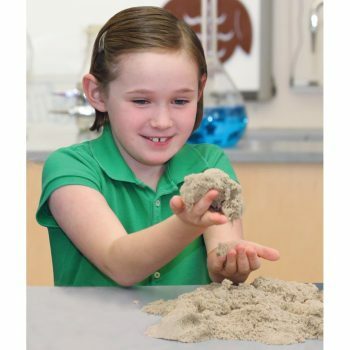 Students can use the Magic Sand to make observations and measurements to identify materials based on their properties. Students can conduct an investigation to determine whether the missing of two substances (Magic Sand and water) results in a new substance. Using the Magic Sand students can develop models to describe the atomic composition of simple molecules and their structures or properties. Students will observe and communicate scientific information about why the molecular-level structure is important in the functioning of a material. Emphasis is on the repulsive forces and the hydrophobic nature of the Magic Sand. 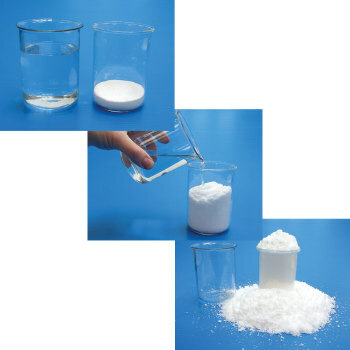 Investigations using the Magic Sand will demonstrate the attraction and repulsion between electric charges at the atomic scale explain the structure, properties, and transformations of matter, as well as the contact forces between material objects.